In the past couple of months, GM has been under fire for delaying a safety recall, which resulted in dozens of car accidents and 13 deaths. The recall involved cars with a defective ignition switch. The defect caused the ignition switch to move out of position, which allowed the car to turn off while being driven. This increased the driver’s risk of a crash. Worse, when the car is off, the air bags won’t deploy—which can be deadly in a crash. This is what, tragically, happened to the 13 people whose deaths were linked to the defect. GM was found to have known about the defect for the past decade. 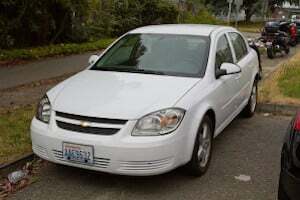 The company’s engineers proposed a redesign in 2005 to fix the defect, but GM documents stated that the fix would be too expensive. A redesign of the ignition was finally approved and went into production in 2006. The redesigned ignition switch was installed in all cars manufactured in 2007 and after. But the cars made before 2007 were not recalled until 2014—meaning that unsuspecting GM car owners were driving around in unsafe vehicles for seven years. The recall affected 2.6 million cars worldwide. GM’s actions has prompted investigations by the National Highway Traffic Safety Administration and the U.S. Justice Department. As a result of these investigations, the Department of Transportation has ordered GM to pay a record $35 million in civil penalties. NPR reports that “the government says GM violated federal safety laws.” The Department has also stated that it will continue to monitor GM. That may not be all that GM has to pay however. The fine is a civil penalty and doesn’t include lawsuits from vehicle owners or criminal fines. If you have been injured in an accident that you believe was caused by a defective part—whether your car is a GM vehicle or not—it’s important to contact an experienced personal injury lawyer in Everett, WA right away. A lawyer can help you understand your options and get you justice.